Another super Moon has arrived, which is the 3rd and final one of the year, stirring up more emotion and conflicted energy as we wrap up the carefree days of summer and travel into a new season. 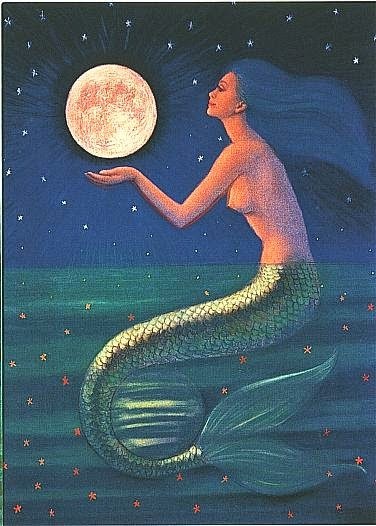 This particular Full Moon falls under Pisces, which is ruled by the water element. Pisces by nature are compassionate, creative, intuitive yet also highly sensitive people. Whether you are a Pisces yourself, or are just feeling the intensity of this particular moon, notice if you are overly emotional today. If so, that's OK. Use this time to journal, vision board, write lyrics, photo edit -- any creative outlet that helps you embrace this Piscean energy hovering around us for the next few days. “The Pisces Moon is in a harmonious energy flow with Saturn and Pluto. This can open the door to greater abundance in your life…The abundant life includes love, joy and well-being…We also need to feel strong and effective. This requires self-mastery. “Be the captain of your ship. Be the master of your destiny. Your power lies in how you take care of you. You want to love your Self more than the need for other people’s approval. Otherwise, you are giving your power away to forces outside of you. “When you live from the outside, you can end up at the mercy of other people. Lost and confused. This is the dark side of Pisces. When you are empowered, you live from your authentic self, from the inside-out. You are proactive. You are empowered. You are using your resources wisely…” © Copyright 2014 ~ Kelley Rosano All Rights Reserved. Utkatasana (chair pose - day 8); Anjaneyasana (high lunge - day 9); Tiger Pose (day 13); arm balances, like Koundinyasana (day 14); Titibhasana (firefly pose - day 19) and of course, general core-strength building exercises. Click here to view the full month of challenge poses.